يقع منتجع Mango House على بُعد مسافة 5 دقائق فقط بالسيارة من مرفأ شوت، ويوفر أماكن إقامة ذاتية الخدمة مع شرفة خاصة مُطلة على المسبح والحديقة، ويتميز بأنترنت مجاني. تحتوي جميع الوحدات المكيفة على مرافق غسيل الملابس ومطبخ صغير مُجهز جيدًا أو مطبخ مع ميكروويف وثلاجة، وتشمل جميع الشقق منطقة جلوس واسعة تشتمل على تلفزيون مع قنوات فضائية. يمكن للضيوف الاستمتاع بتناول وجبة في منطقة الشواء، ويمكن لمكتب الجولات السياحية تقديم النصائح بشأن أماكن الجذب المحلية ومساعدة الضيوف في إجراء ترتيبات السفر. يحيط منتزه كونواي الوطني بمنتجع Best Western Mango House، ويبعُد المنتجع مسافة 25 دقيقة سيرًا على لأقدام عن شاطئ إيرلي، ويبعُد مطار بروسرباين مسافة 35 دقيقة بالسيارة. Please note that housekeeping service is only offered for stays of more than 7 nights. You can request daily housekeeping service at an extra charge. Good to relax. Friendly owner. There’s market and liqiour shop right next to resort. There’s kitchenware in the room you can cook somthing. Bus station infront of resort. Nice pool and spa! 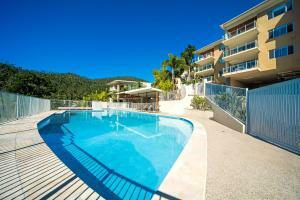 Very relaxed,thoroughly enjoyed our time here,will book again when visiting Airlie. 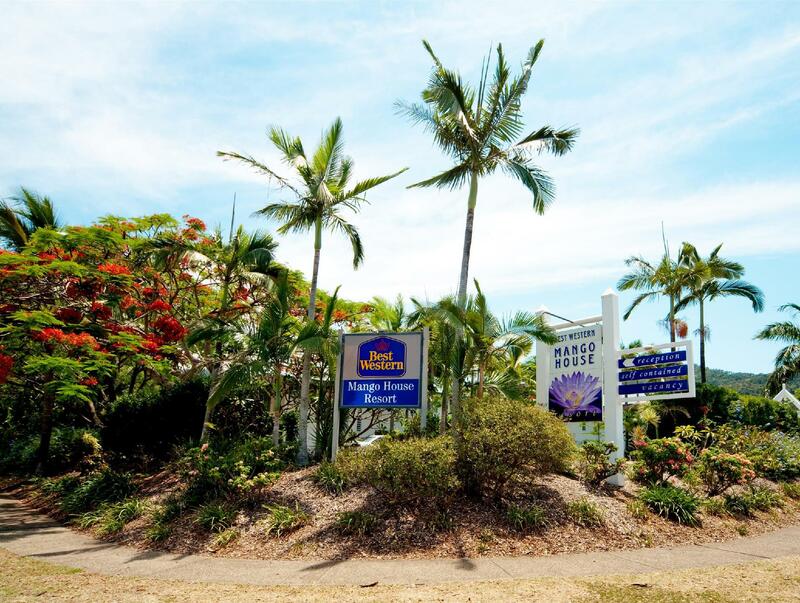 We chose the Mango House looking for a relaxed full apartmemt style lodging close to Airlie Beach and we got exactly what we wanted. The lodging was roomy,clean and complete and the people were great. Felt very welcomed in our stay there which was very enjoyable. The staff was extremely helpful and informative. Would thoroughly recommend this hotel to anyone. Hotel was fine, bit noisy in the morning because of traffic so I recommend shutting the windows in your room. It's a little bit far out of town but the bus system works well and it's only $3.00 pp into town. Nice hotel with a good swimming pool ,lots of space and a nice balcony.A bit of a distance to the center. The staff is so friendly and the surrounding is comfortable. Stayed Twice in a few weeks, Enjoyed my time here and in the area, first room had enough facilities for a short stay, the second stay with free upgrade gave me plenty of room in a comfortable environment. I did not spend large amounts of time in my room as there were so many sights in the area to see, but was able to do laundry and cook dinner in the spacious apartment if needed. Was very reasonably price for the quality. Our stay at the Best Western Mango House Resort was as close to perfect as you could get! Our room looked out to the pool, the resort is located on the outskirts of Airlie beach, so it was very quiet in the evenings, and we had our own kitchen and access to the shared bbq to prepare our own meals each evening. The proximity to the grocery store and liquor store added to the enjoyment in preparing our own meals while at Mango House. The room was very comfortable and spacious. It is a bit of a walk in to town from the hotel, but only a short drive, if you have your own car. When you sign up for tours around the reef, buses will pick you up right outside of the hotel. 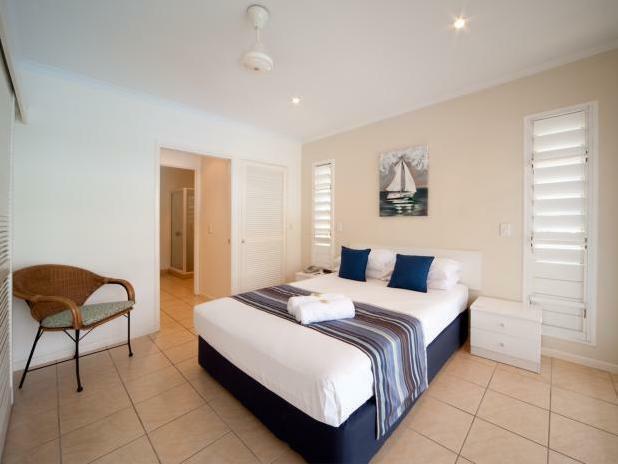 This is an ideal getaway for anyone looking to have a bit of space, but still be close to the beautiful beaches in the area! room is spacious with all amenities, makes you feel peaceful. bathroom is a little bit out of date. extra bed is sofa and size is small (make sure to require bigger bed if your 3rd person is big-size). the reception staff is great. He helps us make our white sand beach and hearty reef trip at very last minute, with the best pay. we definitely recommend it to those couple or family. Negative: no lift, if you stay at 2nd floor, make sure your luggage is not heavy. The hotel features a good size swimming pool and is close to an IGA supermarket. 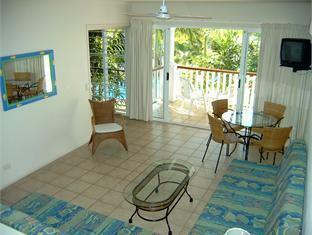 Room is simple but comfortable, with LCD TV, microwave, a terrace. It is better if you have a car, as it is approx. 2 km from the lagoon I would recommend this hotel for the good combination price/quality.